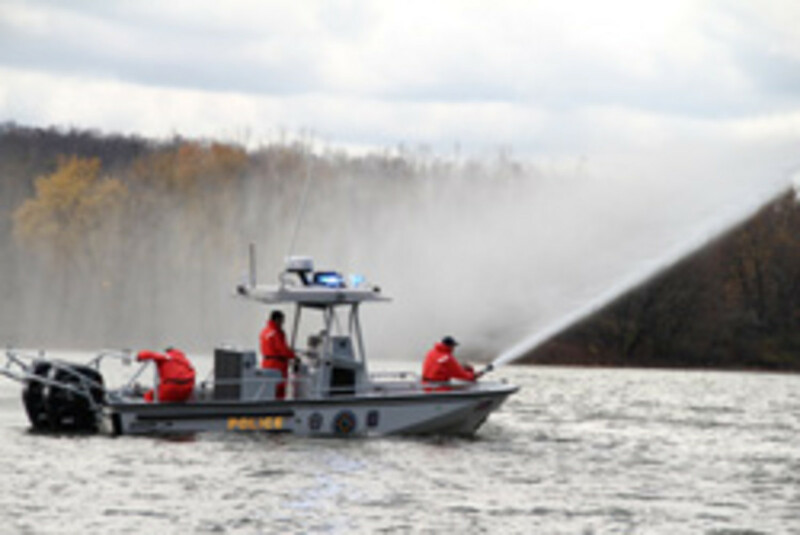 Residents and businesses along the Ohio River in Beaver County, Pa., will soon see a new Boston Whaler 25-foot Guardian on patrol. More than $3.4 billion worth of goods is transported through the county annually via the river. However, a recent risk assessment exercise revealed that law enforcement was not adequately equipped to handle a crisis on the waterway. Crime-related or emergency incidents historically have been handled by non-local response teams, which significantly increased response times. As a result of the study, a new local task force has been created to provide seamless law enforcement and emergency coverage along the river from the Ohio line to the Montgomery Lock and Dam. The Beaver Valley River Response Task Force received a grant of $140,000 from FEMA and Ohio’s State Department of Economic and Community Development to purchase a Boston Whaler 25-foot Guardian patrol boat from Brunswick Commercial and Government Products. The 25-foot Guardian is equipped for law enforcement, fire, and rescue operations. The boat is powered by twin 150-hp Mercury Marine Verado outboard.